Cottage In The Lane offers guests a combination of quiet and convenience, located just under one mile from one of Southern Maine's most beautiful beaches. Drakes Island Beach itself has no commercial establishments on it, yet within a few miles, you can enjoy shopping, cinemas, fine dining, and the quaint fishing villages of Ogunquit and Kennebunkport. The property borders the beautiful Rachel Carson and Laudholm Farm wildlife preserves. You will enjoy the peaceful surroundings of your cottage. 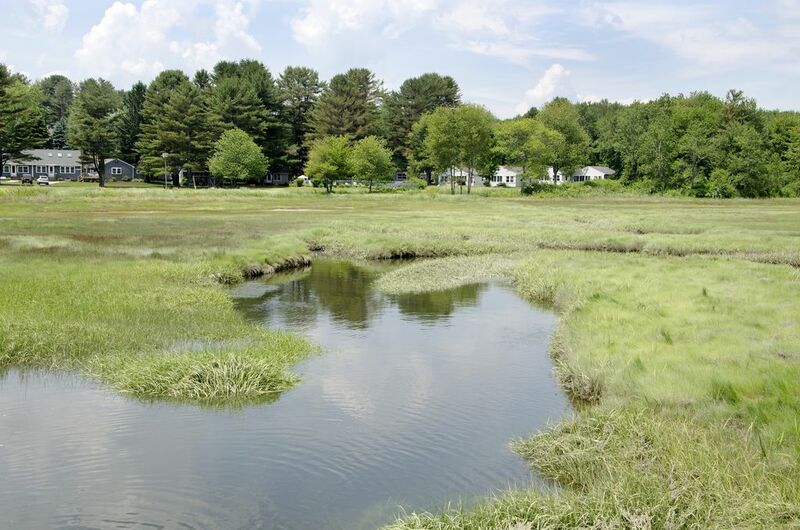 The expansive lawn stretches down to the salt marsh. Enjoy the large, heated, swimming pool, picnic tables, and grills, or a leisurely walk around the grounds. This lovely cottage is comfortable, clean, and well supplied. Layout includes two bedrooms, kitchen, bathroom, living room, and screened-in porch. I bought this property from my parents in 1979. I enjoy operating a small family business. Some of our returning quests are in the 4th generation of the family, since coming to stay with us. It is 'Off the beaten path'. It has beautiful, uncrowded, peaceful green areas and yet is just up the street from the ocean. We are small and quiet. We have decided to retain our green space and not over develop the property. Bathrooms contain a full tub/shower, vanity, and toilet. Perfect one week family vacation. Our cottage was very clean, the bed was comfortable and the compound was exactly a one mile walk from the beach. Sue was very kind and helpful. Since we had just picked one child up from camp, the coin-op laundry was a plus. beautiful grounds & views of the estuary marshes. Quiet, starry nights, awesome close by beaches, an oasis of peacefulness. I will return with more of my family and friends. Our property borders 2 wildlife preserves with walking trails and delightful bird watching. Kayaking in the salt marsh is a popular activity, with rentals nearby.